If you’re in HR, you know that metrics are a vital way to quantify the cost and the impact of employee programs and measure the success (or failure) of initiatives. But HR executives often miss the nuanced picture that the data can offer, through smart dashboards, to help guide decision-making and strategies for recruitment and productivity. You’d be surprised at the kind of insights you can glean about your culture using data you may already have laying around. 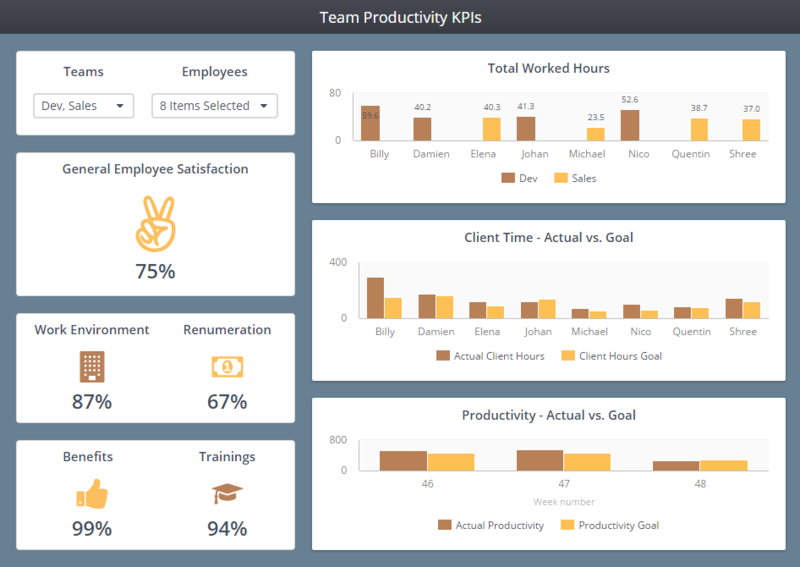 Who will be looking at this dashboard? What is it they need to know or will find actionable? Leave out the data that does not provide meaningful information to those using the dashboard. If it doesn’t figure in to their processes or workflow, it will distract and minimize the import of the data that does matter. If you’re not sure what insights will empower them the most, ask them. It’s easy to get distracted nowadays, isn’t it? When you think about it, being confronted with too much data, too many metrics, or too much trend analysis can only reduce productivity and sidetrack people from the task and goals at hand. If people can’t use the information, it’s, well, useless. That’s why we recommend limiting your dashboard to 8-12 metrics. After all, capturing data and analyzing metrics is time-consuming and expensive. Don’t waste time and resources on what doesn’t contribute to furthering your department’s goals. ClicData gives you the power to manage your data more easily than ever.